Last night’s episode of The Walking Dead was absolutely mind blowing!! I was on the edge of my seat the whole time. Rick has a meeting scheduled with The Governor and has been pondering over the deal that The Governor has offered, Surrendering Michone. At first Rick decides to offer Michone but is not sure if that is the right thing to do. He confides in Daryl which he can trust, but then he also confides in Merl, which was a huge mistake. Meanwhile Glen has a moment with Hershal and asks him for his blessing to marry Maggie. Hershal is proud and happy that his daughter has found love despite the fact that the world is different. He is pleased that his faith, values and morals have impacted his daughters in such a way that the condition of world does not change what they believe in. Carol has some time to talk with Merl and his brother on two separate occasions. Merl wanders off into the prison and Daryl stumbles up on him. They talk about what he did to Glen and Daryl tries to suggest ways that Merl can try to patch up things between Glen and Maggie. Merl says something very interesting. “Your people look as me as if I am the scum of the earth.” They hate Merl and everything that he represents. 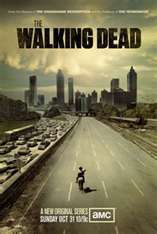 Daryl tries to make things right between him and his brother but the relationship they once had does not exist anymore. Daryl wants his brother to change but Merl knows that change and acceptance into Rick group is not realistic. Merl walks away from his brother and soon lures Michone into a trap within the prison. Rick decides to not offer Michone to The Governor and knows that what The Governor is asking for is wrong. Rick approaches the group and tells them what The Governor offered him. It does not take long for Rick to realize that Michone and Merl are gone. Merl takes it into his own hands and makes an attempt to deliver Michone to The Governor but he has is own agenda in mind. They have a very interesting conversation in a car that Merl retrieves on the street near a bar, after a major zombie attack that they barely escaped from. Daryl searches for his brother and runs into Michone on the road. They have words he asks her if she killed him. She shakes her head no. I wish this woman would be more verbal. It only would have taken her a second to tell Daryl that he was driving a car. Merl lures a group of walkers towards the area where Rick and The Governor met before. The guys from Woodbury are all in place ready to meet Rick but Merl goes there armed instead. He slithers around shooting a couple of people. The walkers create a nice diversion as Merl makes his way into the abandoned building. He has The Governor in plain sight aiming for his head. He fires and Ben takes the bullet for Philip. Walkers attack and Merl is quickly ambushed. The Governor wastes no time as he beats Merl down but Merl gets in a few good blows before he is shot in the chest. Daryl tracks his brother and ends up in the meeting area after the brawl. He shoots a walker with his crossbow and notices another walker. The walker lifts his head and it’s Merl!! Shocked, hurt and dismayed Daryl falls to his knees crying. He kills walker Merl and trembles from the pain of loosing his brother. During Rick’s talk with the group he tells them that are a team,a family and that they can stay and fight or pack up and leave. I think that they are going to leave and by the time Woodbury attacks they will be gone. I started reading the comic books and I must admit that I was never really into comics until The Walking Dead came along. I am completely hooked and even though it is different I still love the books. I am on Book four and can’t wait to see what is going to happen. The Governor has yet to be introduced and Michone has just surfaced. The season finale of the show is expected to be very exciting and I am looking forward to seeing what next season has offer. I am so happy the Merl is finally dead and out of the way. He has been nothing but trouble since the beginning and just slows down Rick’s group. He was not going to survive in Rick’s group anyway. His personality was better suited for someone like The Governor,that is why he thrived and did so well in Woodbury. I hope that his baby brother grieves and moves on without any breakdowns, I know that he always wanted his brother to do right and be right. Daryl loved Merl more than Merl could ever love anyone. The one thing good I can say about Merl is that he did show a deep loyalty toward his brother.